A plain cover design. Nevertheless with beautiful photography & lettering. 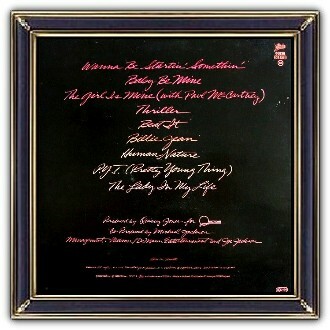 And, last but not least, the best selling album of all time! Michael made his professional debut in 1964 with his elder brothers Jackie, Tito, Jermaine, and Marlon as a member of the Jackson 5. 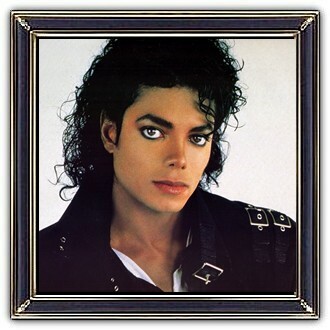 In the early 80s, Jackson became a dominant figure in popular music. His music videos transformed the medium into an art form and promotional tool. Jackson popularized a number of complicated dance techniques, such as the moonwalk. 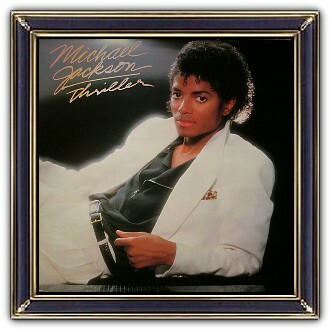 Thriller is the best-selling album of all time, with sales of 65 million copies worldwide.